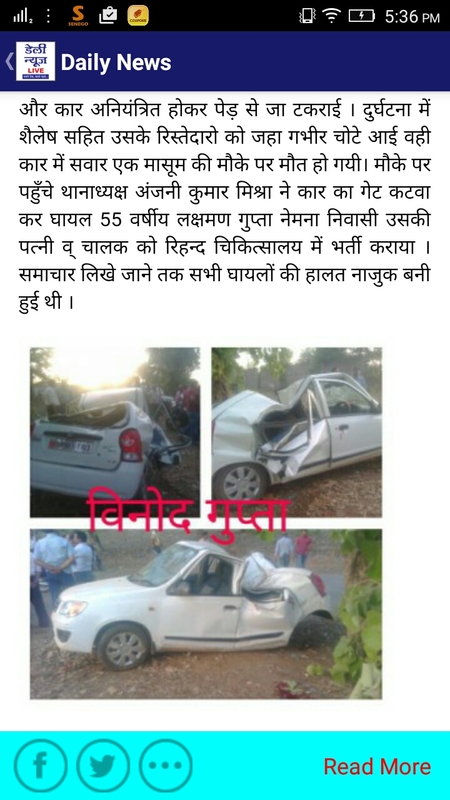 Mobile app for dailynews is hindi news app for India all content are in hindi only. Main concept of this app is to using a wordpress site provide update news to user with a smiple and impressive user interface. App get data using xml parsing. Show notification on every news update to all user also have notification control setting to control is user get notification or not. User can also control when news loader will refresh at mobile data, wifi network or in both case. 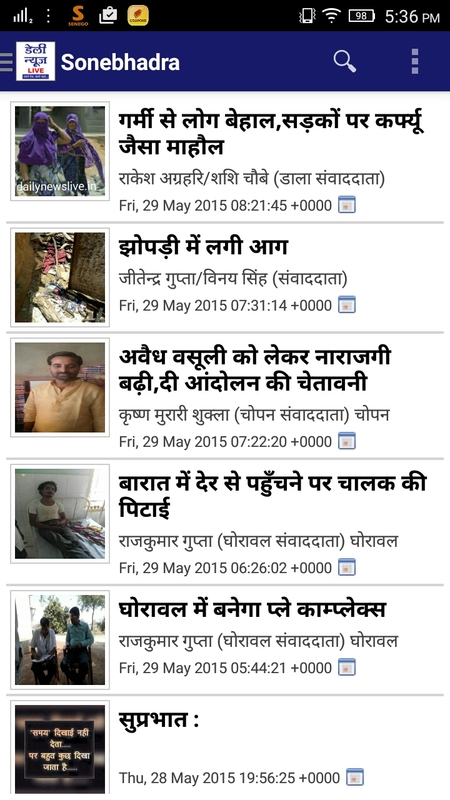 Application have multi categories for news.